The following unit of work is based on the excellent 'The Ice Man' book written by Alan Parkinson. Click on the image below to be taken to the Amazon store where you can purchase your class set. Thank you for accepting the challenge that we have set you. There are three key questions that still puzzle us today. 1. Who was Otzi and how and when did he die? 2. Can you 'read' the landscape to find out if a glacier once existed in this location? If so, did this have anything to do with his body being in such good condition.? 3. But wait! If there was a glacier, how come Otzi didn't move very far from the place where he died ... even over thousands of years and how come he wasn't squashed like those people in the video? Objective: To find out who, where and when our Ice Man was found. As Geographers and explorers, it is always important to know where things are. Ötzi the Ice Man was found in the European Alps and the location is marked by a red place mark on the Google Map to the right. Your job is to build up a 'Police Incident Report' using the map, your work from your history lessons and pages 2-5 in the Ice Man Book. Task 1 - Complete the Police Report by clicking on the tab above and following instructions set out. For one of the boxes, you will need to explore the area using Google Maps. Click on the blue tab to the right to access this. Task 2 - Look at the picture on the right hand side. 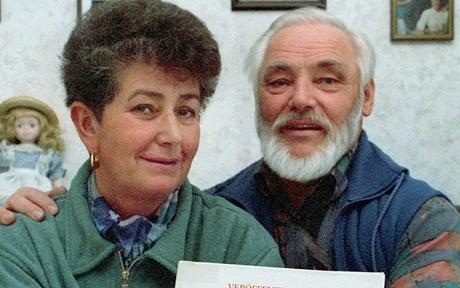 Who do you think these two people are? Complete the activities on the worksheet by clicking the tab underneath. To help you with your diary extract and to understand the terrain that the two hikers took, you need to study page 2-5 of the Ice Man book and study the route that the two people took on that day back in September 1991. See if you can match up the description in the book with locations on the map beneath. The route taken on the day of discovery. Journey started in the valley and goes anticlockwise to the summit before dropping down past the body, and then back to the car in the valley. Investigation Starter: Study the image below. What does it show? Where is it taken? Use the worksheet below to gather some background information that will help you with the next stage of your investigation. Starter Part 2 - Now watch the video clip below about another glacier in the Alps and go back to your sheet to make notes on anything new that you find. Objective:﻿ To find out why Otzi was so well preserved over 5000 years after he died. Starter: Watch the YouTube video to the right to remind you of what we have discovered so far. Now study this PowerPoint and then complete this worksheet (courtesy of arowlandson - TES). Can you spot any evidence of glaciers? Check out the map above from the previous lesson. It shows the location of Otzi's body, high up in the European Alps. In fact, his body was found at 3210 metres (10,530ft) and up at these altitudes, the temperatures are always colder than down below. Remember this formula: For every 150 metres you go up in height, you lose 1°C in temperature. Erika & Helmut Simon parked their car at 1800 metres altitude before setting off. The thermometer in their car measured 15° C as they set off. Step 3 - Height difference ______ / 150m = ____ °c difference in temperature. Read 'An Icy Grave' on pages 32-35 of the Ice Man textbook. You perhaps know that parts of the world went through an Ice Age that lasted up until about 10,000 years ago. The ice was retreating by the time that Otzi died, but we can say that temperatures were certainly colder then than they are today. Check out the map to the right and compare it to the map below. Task 4 - Complete a three sequence cartoon strip with commentary that shows how Otzi was buried. Use the information and images on pages 32-35 of Ice Man to help you. A template is provided below to get you started. 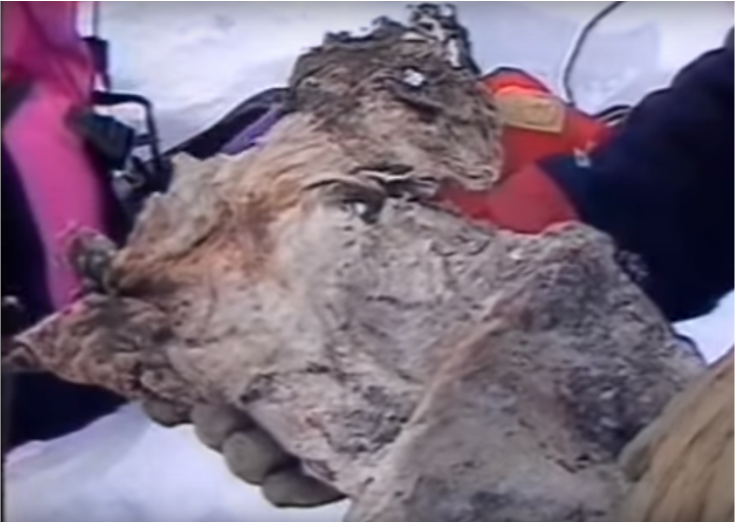 The ice that Otzi was buried in may have been part of a glacier. There were many more glaciers 5000 years ago than there are today. However, if you visit the Alps in 2017, you can still see some, even in summer! You'll see that on a video soon. Glaciers exist nowadays mostly in the extreme south and north of our planet. Antarctica is covered by glaciers and ice and only the highest mountain tops peek out from the sea of ice and snow. Check out the photo below. 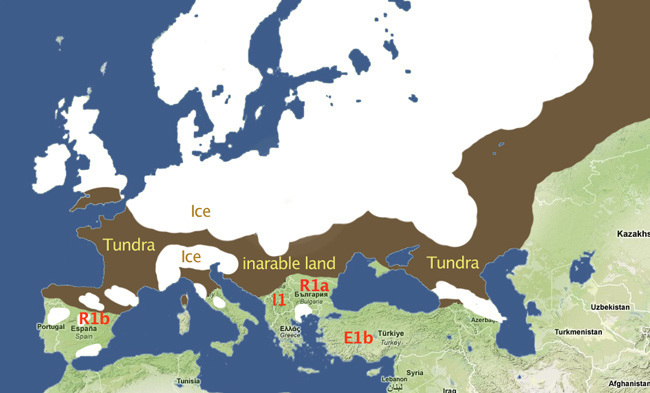 This is what the European Alps would have looked like during the height of the last ice age. All those valley are filled with huge glaciers that are hundreds of metres thick. So, underneath all this ice, what is going on and is there any evidence today that Otzi was once trapped underneath a glacier? Use the framework sheet below as well as the photos, short videos, Google Maps and other descriptions to help you to answer the three key questions. Good luck. Want to know more about otzi? Enjoyed the two videos above? Below is a documentary from the National Geographic Channel. If you want to know more about other lost bodies that are being discovered as glaciers melt around the world, click on the blue tab below. So, we near the end of our unit of work on Otzi and your teachers and Mr Parkinson (author of Ice Man) of the book, hope you have learnt something new. i. What have you learnt that you didn't know before? ii. What would you like to learn next? If you get stuck, you can always complete two tweets, one for each question! Date: Enter the date today. After checking spelling, click on submit and your Tweet will be generated. At the bottom of the Tweet, click on 'save as PDF' and save into your Otzi folder in My Documents. Your teacher will ask you for a print out too. Year 7 students at IST were very lucky to link up with Mr Parkinson (@geoblogs) via a Google Hangout to ask him some questions about Otzi and about writing books. After suffering from a powercut due to a big thunderstorm over this house (living geography! ), here is how it all went. Our thanks to Mr Parkinson for taking time out of his busy teaching schedule to speak to us. Mr Parkinson even blogged about it afterwards. Read what he said about it here. The Ice Man book can be bought from Amazon - Click here to get your own copy. Follow Mr Parkinson on Twitter by clicking here. Google Hangout with Alan Parkinson about Otzi the Iceman from History Teacher on Vimeo.